When Should You Choose Garden Soil Over Potting Soil? You often hear the terms garden soil and potting soil or potting mix used interchangeably; however, these are two very different products. For all of your gardening and landscape projects, using the right type of dirt can make all the difference for growing beautiful, healthy plants that require less water and maintenance. What is Potting Soil or Potting Mix? Despite its common name, a potting soil blend may not have any actual soil in it at all. Most blends made for potting have some type of mulch, typically bark, along with vermiculite or another drainage enhancer. Potting mix also contains a significant amount of nutrients designed specifically to encourage the growth of container-based plantings. If you grab a handful of potting mix and squeeze, you might notice that it doesn’t clump together at all. This is by design, as container plants can’t grow and thrive unless their roots can move freely through their potting medium. For that reason, potting mix is also very lightweight. Garden soil, on the other hand, is heavy and dense. If you grab a handful and give it a squeeze, it will clump together – at least to some degree. A good garden mix does contain soil (technically compost), but without added nutrients or mulch. It is designed to hold plant roots in check. Otherwise, the plant may expend all its energy in root growth while becoming stalled out above the ground. So, when should you use a garden mix and when is potting mix more appropriate? 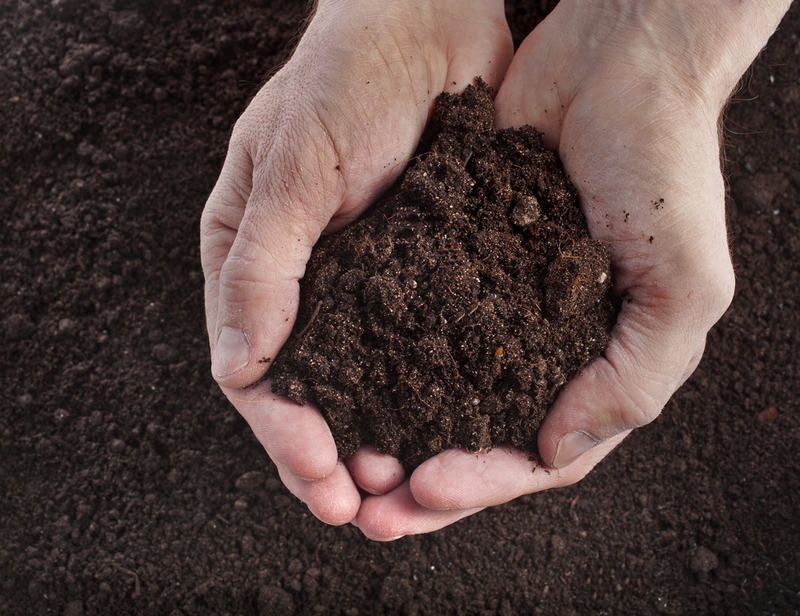 Which Soil Should You Use for Garden and Landscape Projects? As we say here at The Dirt Bag, always use potting mix in your pots and garden soil in your garden. Potting mix is meant to stand alone, as opposed to being mixed in with existing soils. It is a self-contained product designed to provide potted plants with everything they need to grow and thrive. Garden soil is meant to be spread around. Mix garden soil in with your native dirt to improve it. Its organic components break down over time, to enrich and improve the native dirt it’s mixed with. Use it for planting flowers, bushes, trees and even fruits and vegetables in your garden. When you’re ready to plant, dig your planting hole larger than the plant’s root ball. If your dirt is particularly abysmal, dig an even larger hole. Now fill the hole about halfway with garden mix and combine it in with some of the dirt you removed, plus some bat guano or another plant nutrient blend. Settle your plant gently in the hole and fill in the spaces with a garden and native soil mix. You can also use garden soil as a top dressing throughout your garden and planter beds. This helps hold in the moisture and nourish the dirt all season long. At The Dirt Bag, our exclusive Garden Soil Plus blend is designed just for Northern Utah. Dark and rich, its organic properties will give you the biggest, healthiest plants, flowers, fruits and vegetables on your block. Available for delivery in one cubic yard bags or in bulk, call The Dirt Bag today to order your Salt Lake City area garden soil delivery.